The best place to stay by the bay, with FREE Breakfast, FREE WiFi and FREE Parking!! Miss your Mum & Home Cooked Meals? Come to your 'home away from home' by the Bay...You'll never want to leave... Just ask our Backpackers! Manly Harbor Backpackers is the place to relax, party, have fun and make friends. Our friendly staff are here to look after you by offering the most exclusive homely stay with that extra personal touch. Not to mention, we are Brisbane's only backpackers by the bay! 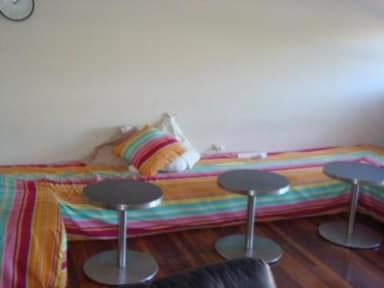 MANLY HARBOUR BACKPACKERS has four types of accommodation available. Funky rooms: All our rooms are themed, not numbered, most rooms have en-suite facilities. 3. 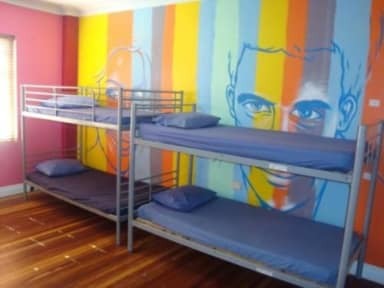 Ensuite Dorm - Queen bed and six singles. Shower, toilet and basin in room. 4. Girls-only room - 8 bed dorm. Shower, toilet and basin in room.